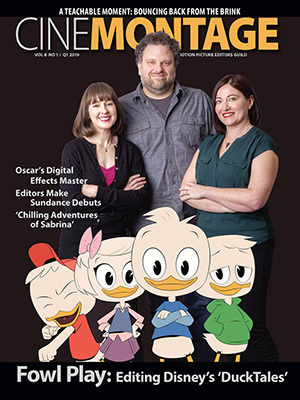 Reprinted from Deadline Hollywood by David Robb on April 15, 2019. WGA West president David Goodman has issued a statement in response to Deadline’s story [Monday] about members who fail to inform the guild that they have fired their agents. The WGA soon could be hauling members before disciplinary trial committees if they don’t notify the guild that they’ve e-fired their agents. Reprinted from Deadline Hollywood by Mike Fleming Jr on April 15, 2019. All day we’ve been hearing of the misgivings numerous writers are having over the recent brass knuckle negotiations on packaging and affiliated production companies that led the WGA to demand that its members fire their agents. Some writers with close ties to their longtime reps want everyone WGA and ATA back at the bargaining table, with less rancor and a mindset to find a solution. Jon Robin Baitz, the playwright/screenwriter/TV producer — who just signed on to adapt the Jo Piazza novel Charlotte Walsh Likes To Win as a series for Julia Roberts to star in and produce with Baitz and wiip — has become the first major WGA member writer to publicly declare to his union that he will not fire his agents. Baitz is the two-time Pulitzer Prize finalist playwright who created the ABC series Brothers & Sisters and the NBC miniseries The Slap.